Bel-Aire is located beside the Glenmore dam, which connects the Glenmore Reservoir to the Elbow River. The main access for the community is from Elbow Drive. To the south of Bel-Aire is the small community of Mayfair. Meadowlark Park is just across Elbow Drive. 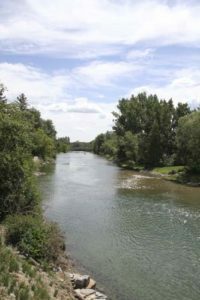 While Mayfair and Bel-Aire feature similar locations, Bel-Aire also has views of the Elbow River and larger properties. Established in 1960, Bel-Aire has remained one of Calgary’s top neighbourhoods. Not only does the Glenmore Reservoir and Elbow River border the community, but the Calgary Golf and Country Club extends over the northern edge of the neighbourhood. Travelling to and from Bel-Aire is easy. Many major roadways are nearby the community, including Glenmore Trail, Macleod Trail and Crowchild Trail. Calgary Transit serves the neighbourhood with buses and the Chinook LRT station is not far. Even walking and biking are easy – connections to Calgary’s vast multi-use pathway system lead pedestrians, runners and cyclists quickly to the Glenmore Reservoir and up the Elbow River to downtown. Nearby the community is the Chinook Centre Mall, which is home to many shops, services, retailers and a cinema. 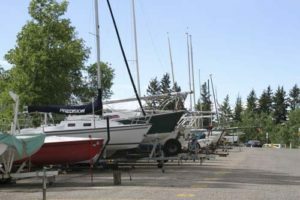 Recreation options are plentiful, with numerous parks within a short distance. The Weaselhead Natural Area, North Glenmore Park and South Glenmore Park are all close. Bel-Aire and Mayfair are part of an active community association. For more information about Bel-Aire real estate or the special community, contact us!